The next book in the Chicago Stars series, this is the story of Gabe Bonner, younger brother of Cal from Nobody’s Baby But Mine. There were tidbits of Gabe’s story in the previous novel and my interest was piqued to find out whether the author had ever gotten around to writing Gabe’s story since I felt in my gut that it would be a fabulous one and I’ve got to say it definitely has been a worthwhile read. Gabe Bonner, a man who lost everything he held dear to his heart when his wife Cherry and son Jamie died in a hit and run accident is a man who just goes through the motions of living a life. A veterinarian who has no interest in healing animals after the accident, he turns all his attention to fixing up the drive-in movie theater in town just so that it would give him something to do to keep those dark memories at bay. Rachel Stone, a woman who is nearly at the end of her wits for the constant struggle for survival of her and her young son Edward Stone, is a woman who is scorned and hated by everyone in Salvation. Her ex-husband Dwayne had been a televangelist who had ripped the community of their savings, the sole blame of which Dwayne had successfully swayed his followers to believe lay on Rachel’s shoulders. Even then, Rachel is determined to make things work for her son and in a desperate attempt to earn money forces Gabe to hire her to work at the drive-in even though he makes it no secret that he can’t stand to be around Edward and her. However, gradually Rachel and Gabe both find that they can’t deny the need they arouse in each other, though Gabe still has problems communicating with Edward, who thinks Gabe is no good for his mother. On one side of the story is the tale of how Ethan Bonner the reverend of Salvation finds himself having to confront his feelings for his life long friend and secretary Kristy who has always loved Ethan from afar. With everyone except Gabe, Kristy and Jane rooting for Rachel, and a town full of people who refuse to hide their animosity for her, Rachel and Gabe finds that within themselves lie an unending amount of courage to face anything and that this woman who has not a penny to her name and survives with dignity and pride can finally heal Gabe and teach him how to love again. This story is one packed with complex relationships and emotions that leaves one wanting to finish the book till the last page is through. 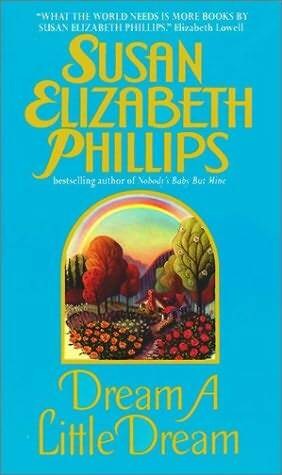 I loved every bit of the Connor brothers’ stories and have to say that Susan Elizabeth Phillips has done a marvelous job in creating such wonderful characters that would stay with you for a long time even after you finish the series.